These layouts are currently under construction using two mm, three mm, four mm and seven mm scales. 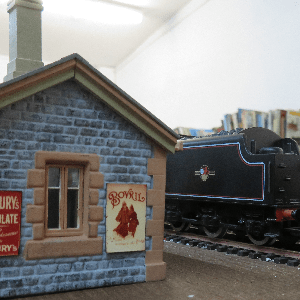 This is an O Gauge layout that is intended for display at exhibitions. 3D printing and advanced electronics will feature in this Dockland tableau. This layout is being developed to give members the opportunity to try out new techniques and learn new skills which they can re-use on their own layouts. 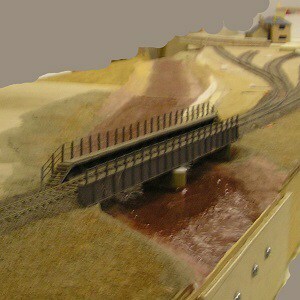 The layout is 4mm scale with two loops and a freight line. There are DC and DCC controllers. This 2mm continental layout has been recently acquired by the club. 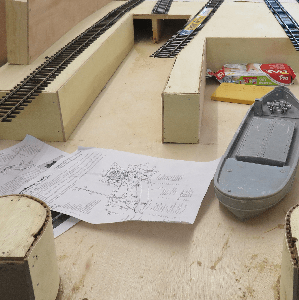 It is in the process of being remodelled as a UK layout. Hilltown is a working title. 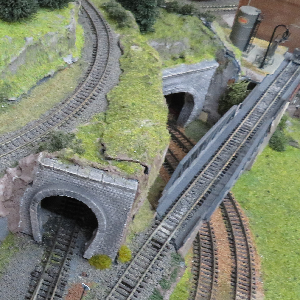 This layout has been modelled in three millimetre scale and based on the county of Devon in the south of England at the time of the Great Western Railway (GWR).